My regular followers probably noticed that I didn’t publish a post last Wednesday. I was in a hotel that night and being in a hotel that night was not the original plan. According to the original plan, I should have been home by then. 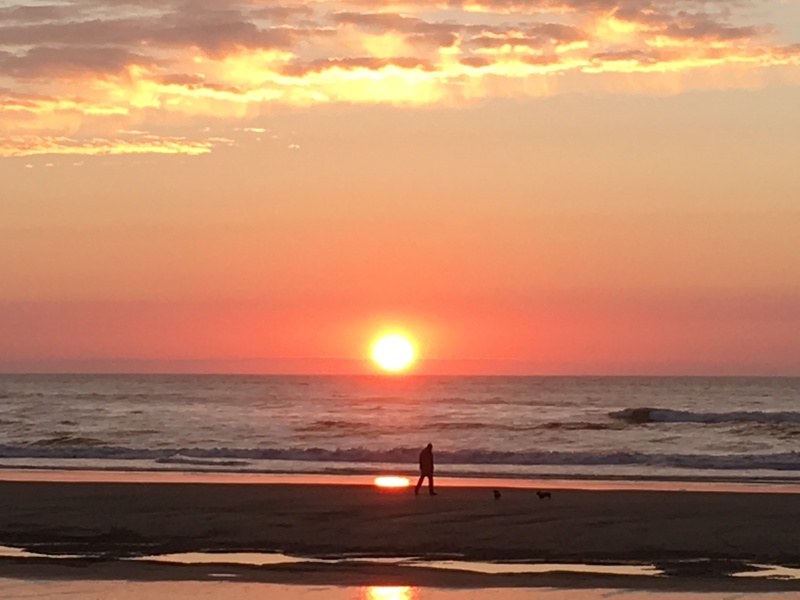 I was not prepared to write another blog post on the road. I did try, but when it got to be 10:20 pm and I saw that I was just getting a good start, I decided to let it go. I want blogging to be joyful. If it’s not joyful for me, it can’t possibly be joyful for my readers. I’m tired. I was on the road for a solid month and being home is both a relief and a disappointment. I saw so many wonders on my vacation that it’s a little hard to adjust to daily life again. Still, I missed this house. I missed my children and grandchildren. I missed my fellow singers in the Don Thompson Chorale. It is good to be home. It is good to be back in my comfy chair. It is good to be singing again. I’m sure it will be good, eventually, to be blogging again. Just not every single Wednesday without fail. That’s not fun any more. This entry was posted in Uncategorized and tagged blogging, fun, obligation on October 19, 2016 by releaf1954. Last week, we made it to Portland, Oregon and Voodoo Doughnut. Today, we are still in Oregon. I’m pretty sure we will be in California later today, but Oregon is making it hard to leave. We spent several days on the coast. We camped at Lookout Point, where we could hear the ocean from our campsite. The sunset was gorgeous. 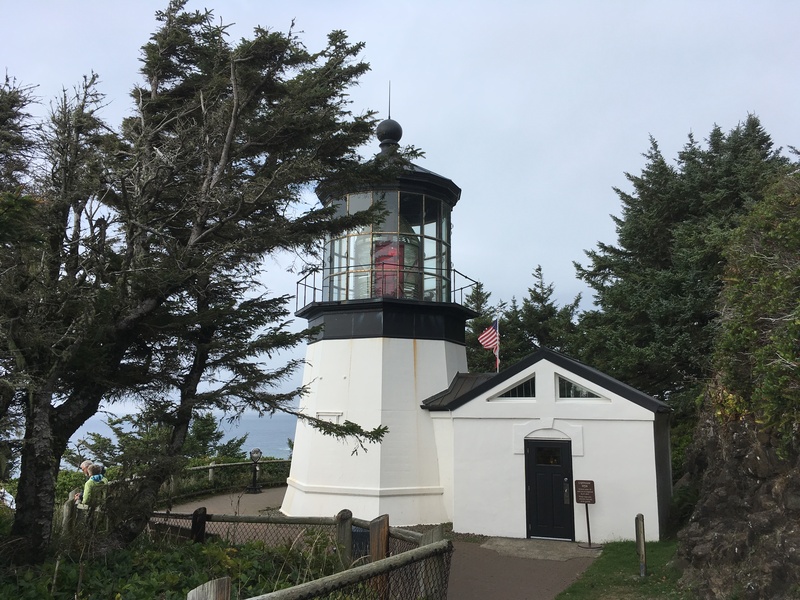 We spent three nights in Tillamook, at the Western Royal Inn. That was not our original plan, but my husband had a health problem that cropped up on Friday and we needed to hang around until Monday for a follow-up appointment. He was okay after treatment and we took advantage of the extra time in Tillamook to see some more of the Oregon coast. 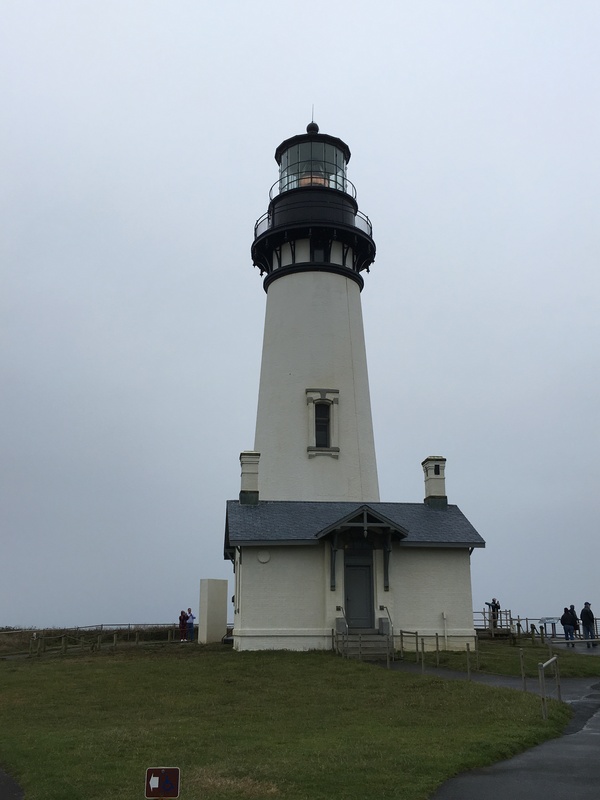 We saw the shortest lighthouse on the Oregon coast, on Cape Meares, and the tallest one in Yaquina Head State Park. 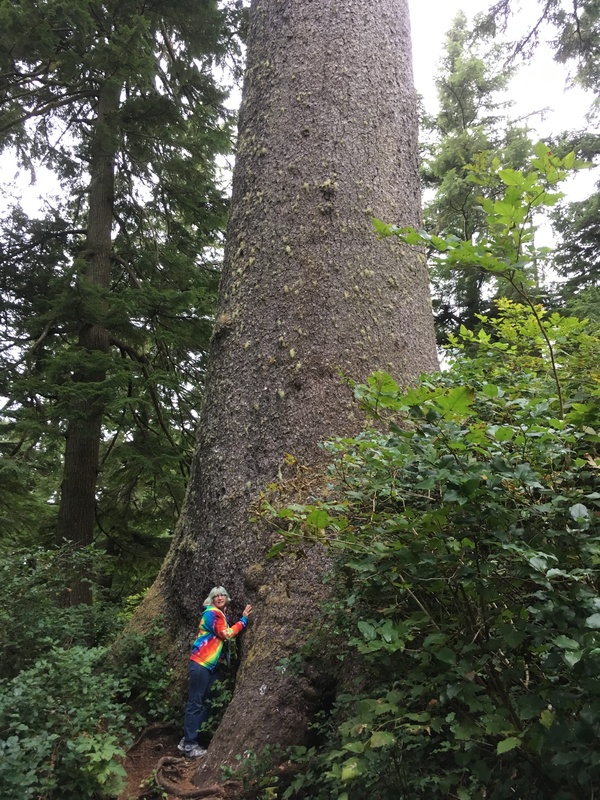 We saw two Oregon Heritage trees, Big Spruce (the largest Sitka Spruce in Oregon) and the Octopus Tree. 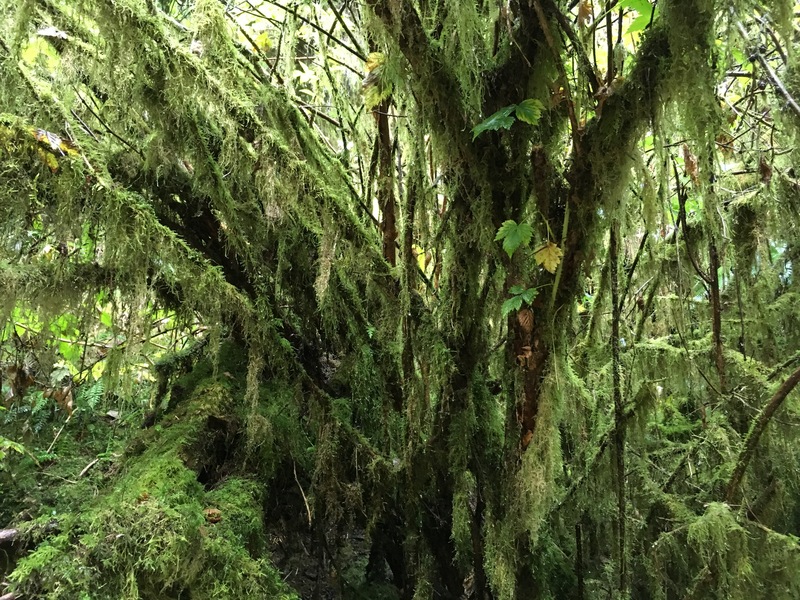 We saw trees so mossy, they looked as if they had soft green fur coats. Forests here are deep and wet. 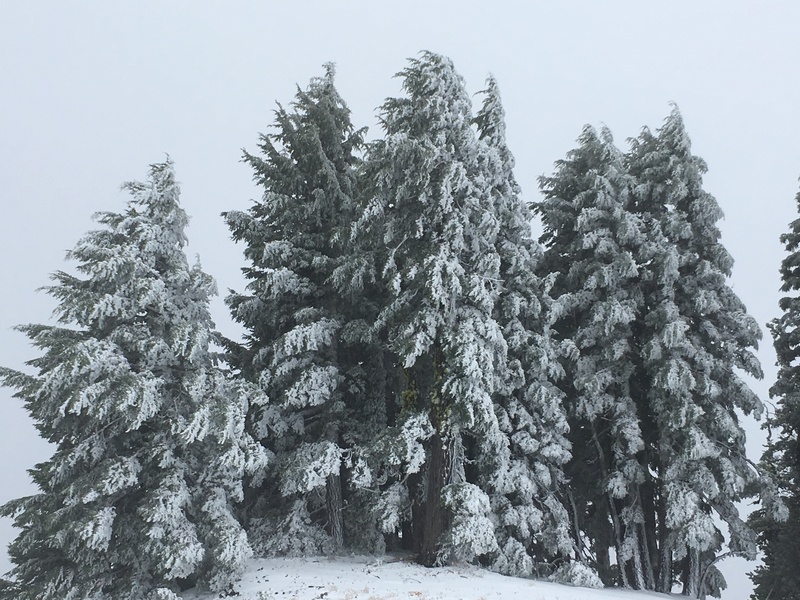 We haven’t seen a Sasquatch yet, but we wouldn’t be at all surprised to run into one among these endless tall trees. 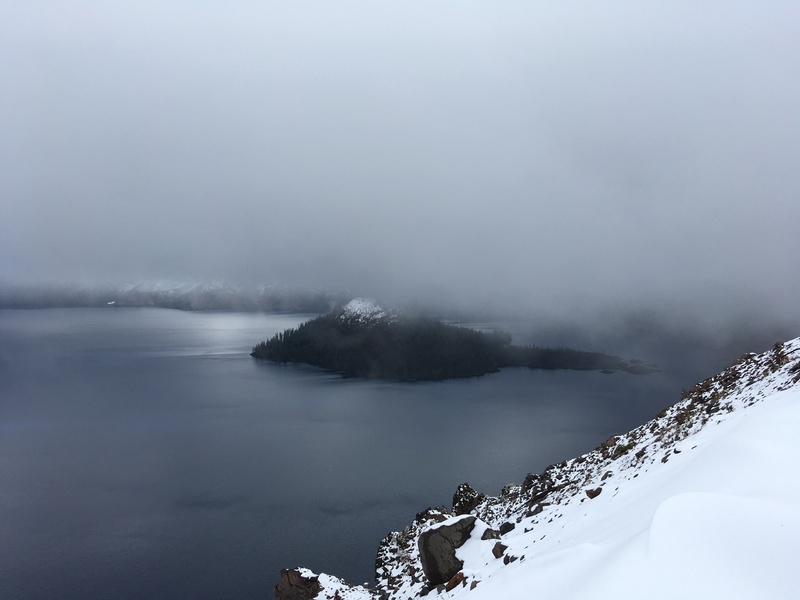 Yesterday, we made it to Crater Lake, which was fogged in and surrounded by snow-covered evergreens. We stayed there quite a while, throwing snowballs at each other and marveling at the view. Our patience was rewarded when the wind picked up a bit and cleared enough of the fog that we could actually see the lake. I have never seen water such a deep shade of blue. Pictures don’t do it justice, but I will add some anyway. We took dozens. 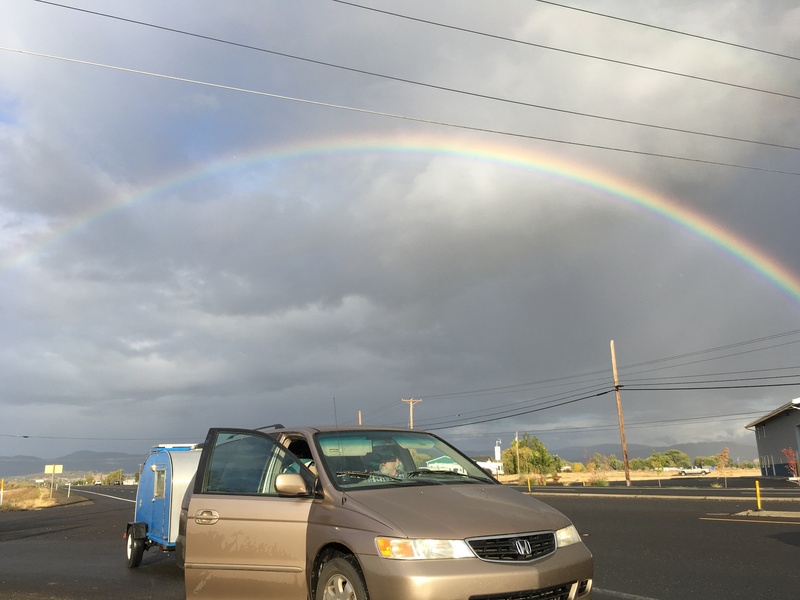 When we finally pulled ourselves away from Crater Lake and got back on the road, our journey was blessed with a beautiful rainbow. Oregon, how can we leave you? 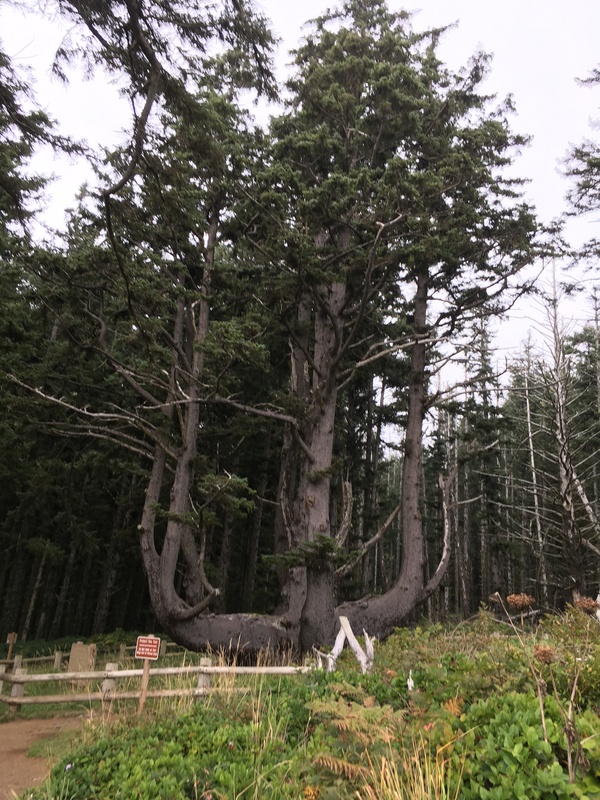 This entry was posted in Uncategorized and tagged Big Spruce, Cape Meares lighthouse, Crater Lake, Octopus Tree, Oregon, rainbow, snow, Tillamook, Yaquina Head lighthouse on October 5, 2016 by releaf1954.